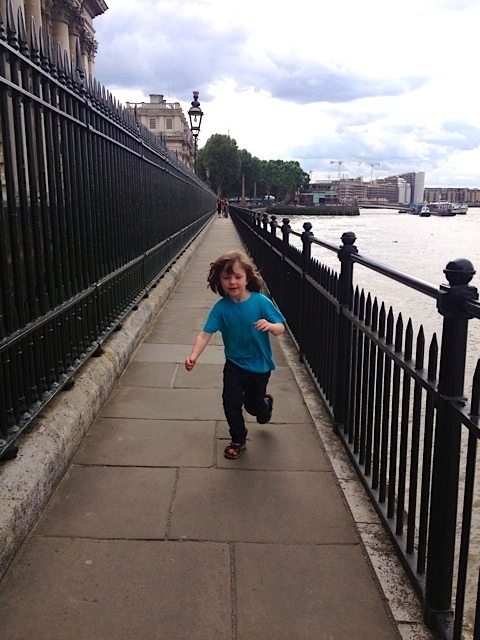 This week I am re-blogging this potentially important post from Tim Gill’s Re-Thinking Childhood blog, about a research project to inform the play policy case to the current government. Before becoming an independent writer and researcher, Tim was my predecessor as director of the Children’s Play Council (CPC) and a close associate of Play England through the key years that followed. He was one of the researchers who helped us to marshal the evidence in 2005-7, as we put the case for a national Play Strategy to the Government of the time. Earlier, as director of CPC, he was a co-author of Making the Case for Play, which first set out the vision for a cohesive national play policy in 2001; and then, seconded to Whitehall, he also researched and drafted the Play Review under Frank Dobson MP. This formed the basis for the lottery Play Programme that followed and paved the way for the subsequent government investment. Tim therefore has considerable form in this area. Let’s take this as a good omen that, although we are now in a very different economic and political climate, perhaps this government too is finally getting serious about play. Does playwork need a new vehicle? Following an initiative by Play Education and Sheffield Hallam University last July, a meeting at the University of Gloucestershire in December agreed to continue to research and consult on a potential practitioner body for playwork. Adrian Voce and Karen Benjamin, who co-organised the event, here report on its origins and outcomes. 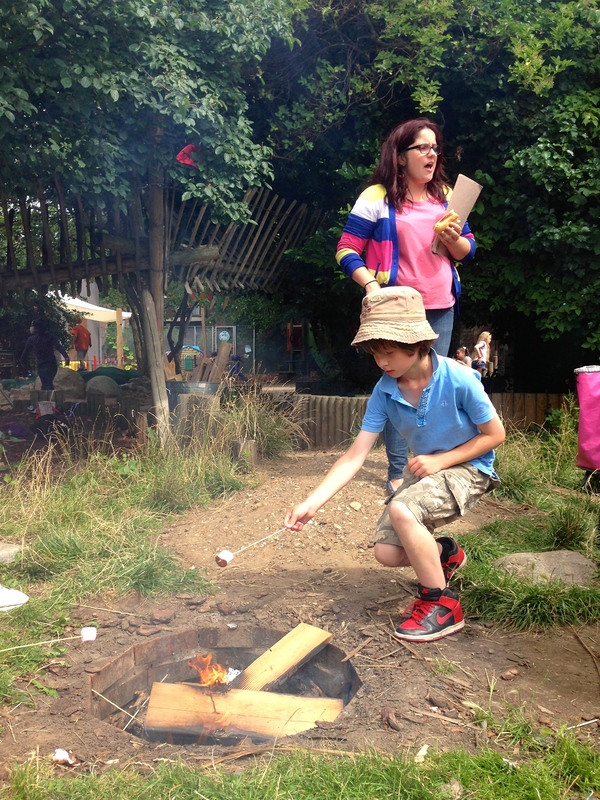 In July last year Professor Perry Else of Sheffield Hallam University and Bob Hughes of Play Education, called a meeting under the banner, The Argument for Playwork. The purpose was “to expound and share ideas that demonstrate why a continuing playwork presence is vital in many children’s lives today, and to initiate actions that ensure that”. The meeting discussed the huge challenges facing playwork, as services are cut, playworkers made redundant or redeployed, and courses cancelled on an unprecedented scale. A recent blog by Tim Gill (very helpfully drawing on a subscriber-only report by Children and Young People Now) paints a fuller, national picture of what we have all been witnessing locally. The Sheffield meeting focused also on how playwork is – or more often isn’t – currently represented, particularly in England. The voice for playwork was perceived to be mainly absent not only from the national debate about public services, but also from whatever discourse there is about play provision itself. Flowing from this part of the discussion, a sub-group of the Sheffield meeting considered the potential for a new representative body for playwork. The discussion was exploratory and open-ended, aiming to identify a range of issues, principles, functions and possible next steps – options rather than decisions. Some informal discussions continued after the Sheffield meeting and, in December, a further meeting – open to all in the playwork community – was called at the University of Gloucestershire, to follow up on Perry and Bob’s initiative and to determine whether there was a sufficient consensus for some concrete action to test the potential for a new playwork vehicle. This report aims to convey the essence of what was discussed, and to highlight whatever consensus was reached by the two meetings. Principles and potential functions for any new body were major items on each agenda. Although each group was clear that these should be seen as provisional (subject to change and ultimate adoption by an inaugural practitioner body, whenever that may be), there was sufficient consensus to set them out here as a reasonably clear roadmap for where we might be headed. A new body should adopt a vanguard approach; standing for playwork and playwork principles, determining its own aims and setting its own agenda regardless of market forces or policy trends. It should be independent of other agencies, owned by and accountable only to its members, however it may be funded and administered. Notwithstanding the independence principle, any new vehicle should work with other organisations in the sector, aiming to be collaborative, adding value to existing structures and activities rather than competing with them. A new playworker practitioner body should aim to mirror the values and ethos of the playwork approach, seeking to avoid elitism and hierarchies, regulation and directives. A playwork body should actively embrace the equalities agenda, challenging discrimination of all kinds and seeking to always reflect the diversity of the communities we want to serve. A new vehicle should always seek to act only with a clear mandate, derived through the transparent good governance of its representative structures. 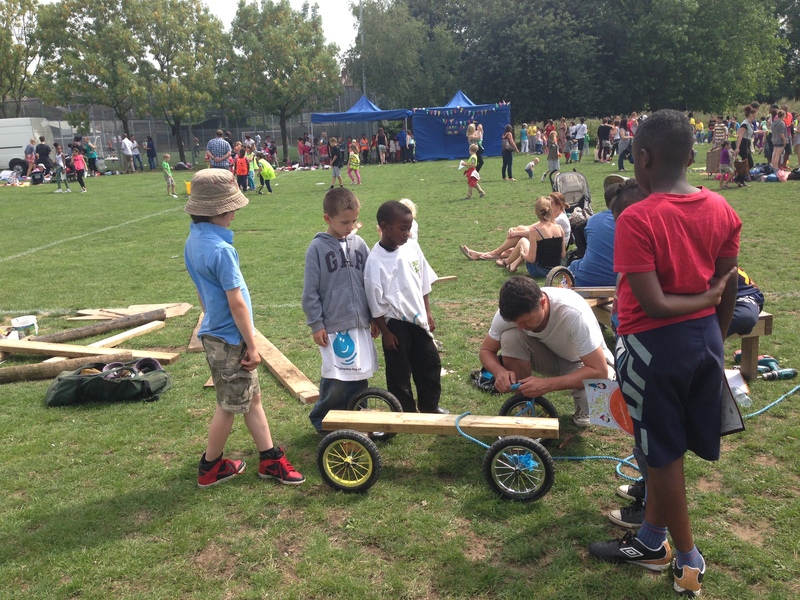 A new vehicle would need to be perceived as credible – by the playwork sector and those we seek to engage with. However a new body is constituted and whatever business model it adopts, it must be resolutely non-commercial, seeking or charging only such funds as it needs to operate, with any surpluses that may be generated invested in activities to further its aims for playwork. A new body for playwork could represent playworkers: mandated by them and giving them a collective voice. It could be a centre for excellence in playwork, aiming to fund research, provide training opportunities and showcase good practice. A new body could campaign for and promote playwork. It could aim to provide different kinds of support for playworkers – such as information, events and resources. It could be outward looking – in dialogue with other professions, sectors and institutions. It could offer practical benefits to its members, such as insurance. Less clear from the discussions to date is what type of structure would be most effective for any new practitioner body – or whether a feasible, sustainable business case can be made for whichever type of organisation would be needed to support and administer it. How such a project can be funded will clearly be a major challenge. Another obstacle identified by the group as posing a serious challenge was the perennial problem of children’s play being widely taken for granted, not a subject for serious policy-making or public expenditure: it was thought that this would make securing funds difficult, especially at a time when infrastructure bodies are out of favour and the trend is for contraction and merger rather than creating new organisations. On top of this, playwork itself is barely recognised, let alone understood, by the public at large. “playwork itself is barely recognised, let alone understood, by the public at large”. Other issues to be addressed and overcome included, in some perspectives, the playwork community’s tendency for infighting and division; its innate, almost anarchic aversion to institutions and the practical challenges of involving face-to-face playworkers whose roles and job descriptions often leave little scope for the networking activity, meetings and conferences involved in forming an infrastructure body. Some have also expressed the view that the very notion of a “professional body” is anathema to the playwork ethos – representing an elitist, self-interested and controlling tendency in mainstream western culture and economics that playwork is, in some ways, a reaction against. Practically, this debate means that one of the first questions a practitioner body will need to address is whether it wants a regulatory role – to issue, effectively, licenses to practice – or not. Set against these challenges the two groups identified considerable strengths within the movement. These included: a cohesive theoretical framework; the passion and commitment of playworkers and the wider playwork community; the simple fact that playwork meets a profound need in society, however under-recognised this might be; the considerable tradition and history of the playwork sector in the UK; and the experience and expertise that this has engendered – with much work already done to define and establish it as an emerging profession with its own underpinning knowledge. Obvious opportunities for such a big next step (at a time when this may seem counter-intuitive) were harder to identify, but the group saw the UN’s General Comment on Article 31 of the Convention on the Rights of the Child as a very positive development which could be used to make a stronger case for national play policy – including infrastructure support for practitioners. “if there has sometimes been a historical lack of cohesion, it is at least partly because there has been no practitioner body through which to hold tensions and resolve issues”. In general the group felt that debate around these issues was healthy and that if there has sometimes been a historical lack of cohesion, it is at least partly because there has been no practitioner body through which to hold tensions and resolve issues. Creating such a body, in this view, will therefore be essential to the advancement of the playwork community. Discussion of the conundrum of redefining what a “profession” might be, and how to embody this within a functional and effective institute of some kind, concluded that this is a challenge that playwork needs to rise to – just as it has found and defined ways of working with children that are radically different from the education and care paradigms that otherwise prevail. One suggestion of how to achieve this was to aim to create a structure founded on mutual support, less reliant on finance, and organised laterally rather than hierarchically. The group agreed in principle to seek resources that would enable it to carry out further research, such as a survey of playworkers and others in the playwork community and a comparative feasibility study to look at the different models of form and structure used by other professions. The Institute for Youth Work and the Professional Association for Childcare and Early Years (PACEY) were two recently formed bodies identified as being close to the playwork sector and which may therefore provide examples of how we might proceed and what forms we might adopt. But the group was clear that a playwork body should not necessarily base itself on existing models or other professions. Rather, it should aim to create whatever structure would best serve playwork and playworkers; embody the playwork ethos; reflect the playwork principles; support the playwork approach and promote playwork services. To accept the offer of a platform at the Playwork conference in Eastbourne in March to share news of any progress and to consult and engage directly with more members of the playwork community. To prepare a feasibility study on governance and structural options for a new practitioner body, and to scope a survey on aims, principles and functions, addressing the key questions arising from the discussions so far. To draft a short “statement of intent” for circulation and comment as part of the survey and, if the opportunity arises, to present this to the Eastbourne conference in order to seek a wider mandate for the project. To maintain an open dialogue with the Playwork Unit at Skillsactive – in particular about the recently launched Register of Playwork Professionals – with a view to collaborating wherever practical, mutually desirable and congruent with agreed principles. To similarly liaise with the Unite union. To similarly liaise with the lead play agencies of the four UK nations. There is clearly a huge amount to do and some considerable obstacles to overcome if the idea of a national playwork institute or professional body (call it what you will … for now) – owned and governed by practitioners themselves – is to be realised. Many will think the time is wrong to even be starting on such a venture. The group will meet again on 10th February 2014, in Birmingham. Please contact Karen Benjamin at kbenjamin@glos.ac.uk if you would like to attend. Will 2014 see a play movement fight-back? A personal message from Adrian Voce. “The concert hall at the Sydney Opera House holds 2,700 people. This blog was viewed about 8,400 times in 2013. If it were a concert at Sydney Opera House, it would take about 3 sold-out performances for that many people to see it”. Well, that is how Word Press have described the traffic on this site in 2013 in their annual report of my site stats. Without being an avid blog follower myself (so much to read, so little time…) I’m not quite sure what these stats represent in terms of the site’s true readership, but I suspect it is rather more modest than the host’s fireworks would have it. Nevertheless, it is gratifying to know that a few people are interested in my news and musings. Time and space for children to play, in environments that afford them the fullness of that elemental experience, has arguably never been more difficult to come by in the modern era – in spite of the international community being clearer than ever that it is one of the most important human rights. To claim that public policy and government institutions – local, regional, national and pan-national – have nothing to do with this, is a folly of the highest order, or worse: a cynical lie. The design and provision of children’s services; the management of traffic in residential areas; the policing of public order and neighbourhood disputes; the planning and design of the built environment; the design of the curriculum and the way that schools are managed and inspected; how we “educate” children in their early years; what passes for childcare; the design and maintenance of parks and open spaces – these are all areas of public life in which children have a huge stake, and where policy decisions shape their opportunities to play – for better or worse. As things stand, if you were a child with sufficient insight into how public policy impacts on these areas, you would be forgiven for thinking that the needs of employers, car-owners, businesses, park-keepers, anyone irritated by the sound of you playing with your friends; even dogs were more important to society than your need to play – to be yourself. You might conclude that this was not, therefore, your right at all, but a childish whim, an aberration leading only to the naughty step. I caricature for effect, as campaigners tend to, but there is a problem real enough for even pillars of the establishment as diverse as the Chief Medical Officer and the National Trust, to have highlighted over the past year. Children’s opportunities to play in space – social and cultural as well as physical – that is suited to the task, are continuing to diminish. The toll of this atmosphere of what can only be described as cultural oppression, is untold. Obesity, rickets, self-harming, depression and eating disorders are all on the increase in young people, but very few politicians are willing to see the evidence that stares them in the face. Children have no vote, and so – play being the one area of their lives that is, or should be, entirely their own – England has no play policy. Local decisions are increasingly reflecting this criminal omission, as Tim Gill’s recent blog about the decimation of local play services starkly describes. “Hard choices need to made” is the mantra, as ministers make a virtue of closing down or massively contracting whole areas of public life; except that, if the victims of these choices are children, it’s evidently not that hard at all. 2014 will be a crucial year for the play movement. In May 2015, if the Coalition Government remains intact until then, there will be a general election. Now is the time to seek manifesto pledges and other policy commitments from the political parties who will be campaigning for votes. The way to do that is simple, but not easy. Will 2014 see the contraction of space to play become an election issue? We need to promote awareness within the electorate of the value and importance of play and play provision; highlight the plight of the many children living with play deprivation; educate voters about how this has come about and its direct link to public policy; make a cohesive, evidence-based case – including the economic one – for the policies that would turn the tide; and we need to make allies in these policy asks from across the spectrum, without diluting or compromising our core aims. How the play movement in England plans to do this is less clear. Playwork – that uniquely British approach which has so progressed our understanding of the nature of play, the role of the adult and the importance of the play space – is under the cosh. The revenue budgets necessary to sustain staffed provision are disappearing. Adventure playgrounds are being torn down or turned into something else. Playwork courses are being closed. Equally worrying in the longer-term (Skillsactive’s Register of Playwork Professionals notwithstanding) playwork does not seem well represented, if at all, in whatever policy fora remain open to us as a sector. For my part, I plan, among other things, to increase the number of posts to this site. A modest contribution to the cause, perhaps, but we will all need to pump up the volume if we are to once again plant the child’s right to play in the minds of our would-be leaders as an issue worthy of their serious consideration. If you share my concerns, and my ambitions for a play policy for England – or find any value at all in what you read here – you can help by sharing a link to the site through your own networks and social media. Happy New Year – and thanks for reading.